Finally Briana was free from school and work. So we had to have a mandatory hang out. We had dinner at In-N-Out. Then decided spontaneously to go to LA for dessert and to check out Rodeo Drive. 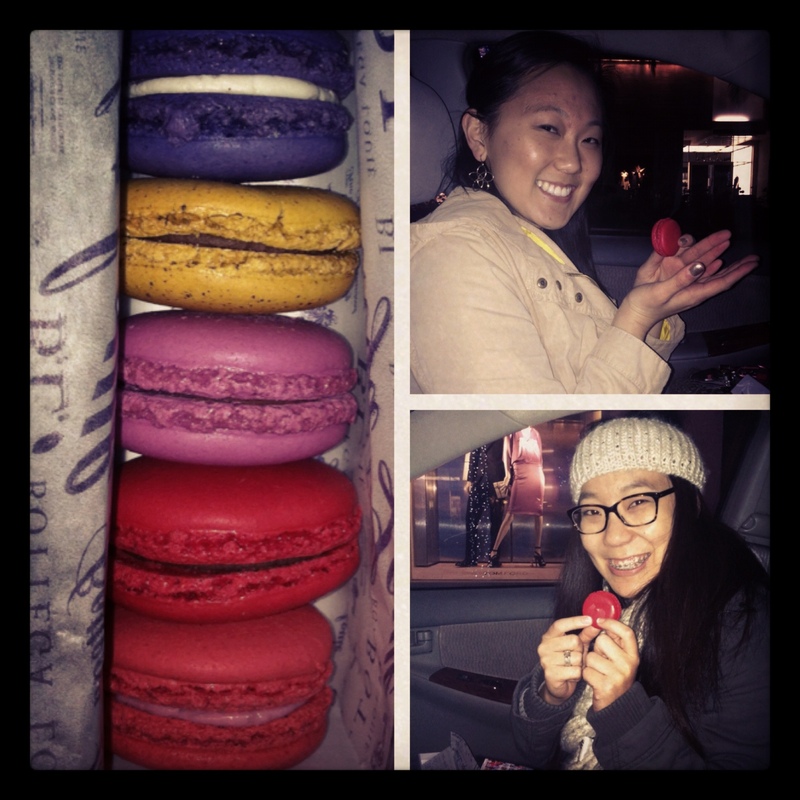 We went to Bottega Louie for some fancy shmancy macarons. Since we got there a little after 9PM, all the good macarons were gone. We picked out the ones that they had the least of because we thought that if they have little left for a certain macaron that means a lot of customers got that one. For 5 macarons in a pretty lavendar box we paid a little under $11. A little expensive for me but I thought I’d get some for my family and just for the experience of trying Bottega Louie’s macarons. Bottega Louie is not only a maracon place but a restaurant also. Even though we got there late, the restaurant was pretty darn packed and busy! I’ll check it out one day. We took our macarons and off we went to Rodeo Drive. I really wanted to go to Rodeo Drive because on Instagram a blogger who I follow posted up a pretty scenery on Rodeo Drive. I took a screenshot and texted Briana, “Let’s go there!” She said she knew where it was. So then it was a perfect night to go check it out after macaron adventure. 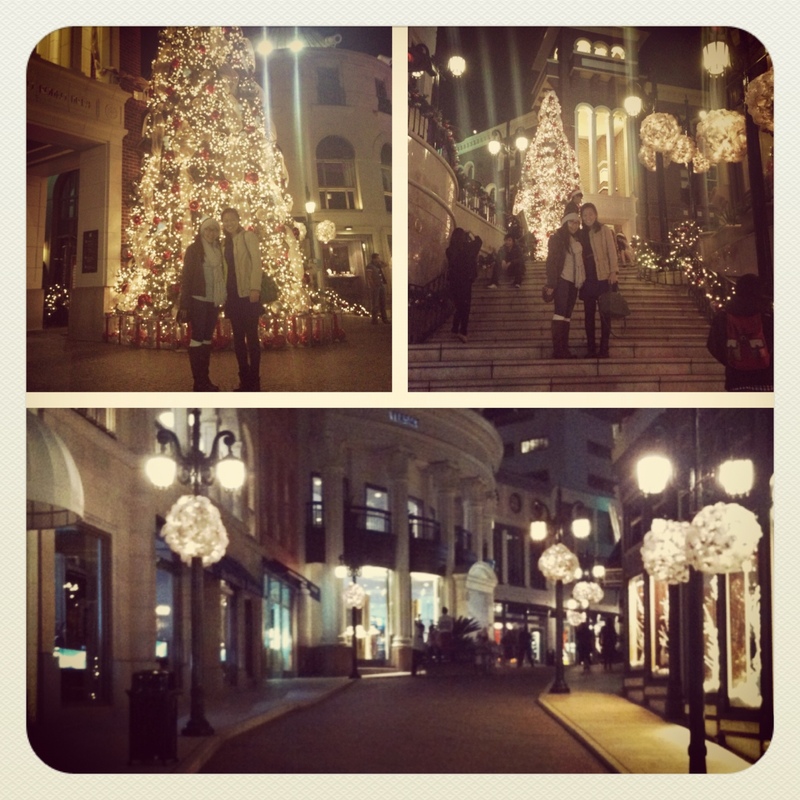 It was a magical moment when we found the Christmas tree and the lights. We tried to take the picture just like the the Instagrammer but we weren’t as successful as Angelaishere. Even though I don’t know who “Angelaishere” is, thanks to her, Briana and I had a fun time walking around Rodeo Drive at night and taking pretty Christmas light pictures. Oh how I love the power of social media. It’s crazy how it works.